Smart technology meshed with years of plumbing experience has profoundly improved the quality of our customers lives. Thanks to our top-notch plumbers, residents in Vallejo, California and the greater Solano County are able to enjoy easy access to fresh water, improved sanitation standards, and greater convenience and comfort overall. What a relief! To squeeze the full value out of your residential or commercial plumbing system, however, proper care must not be taken lightly. As with any other component of maintaining your property, plumbing may need cleaning, repair or complete renovation. Vallejo Plumbing provides our customers with premier plumbing services that are fast, effective, and affordable, with an emphasis on saving YOU money! Whether you need to fix a small leak in your home toilet,or need an entirely new sewage system for your business, we got you covered! We have cemented ourselves as a go-to resource for attention-to-detail workmanship, second-to-none customer service, and truthful advice throughout our endless years of experience. Our team is made up of some of the leading plumbing professionals in the industry. Technical know-how, experience, and skills to pay the bills are just some of the qualities that make us the best plumbers in Vallejo and beyond. We are committed to one thing and one thing only--our customers! That's why we live to ensure that our plumbing solutions make your life easier. Call us for less-stress-no-mess plumbing services today! ﻿​Plumbing is any operation that transports or carries fluids for a myriad of applications. Waste removal, heating & cooling, and potable water delivery are among the most prevalent use cases for plumbing, but there are other plumbing problems that our customers count on us for as well. Plumbing uses pipes, valves, plumbing fixtures, tanks, and other contraptions to move fluids from application to application. Boilermakers, plumbers, and pipe-fitters are some trade names that relate to the plumbing industry and can usually be used interchangeably. On a more important note, the modern world leads on the plumbing infrastructure to maintain public health and sanitation. That is why Vallejo Plumbing takes ultimate pride in keeping our community clean! ​Bacteria are commonly hosted in pipes and fixtures within a building that convey water to taps. Community water systems have been known for hundreds and hundreds of years to spread waterborne diseases like cholera, however, opportunistic premises plumbing pathogens have been discovered more recently. These bacteria affect human beings with weak immune systems by growing in metal faucets, shower pipes, water heaters and bath tub drains. Inhaling these bacteria can be life threatening, so it is important to have your pipes regularly inspected. If you believe are due for a plumbing inspection, please call us immediately. We will clearly explain what must be done, if anything. The longer you wait, the bigger the problem will get. 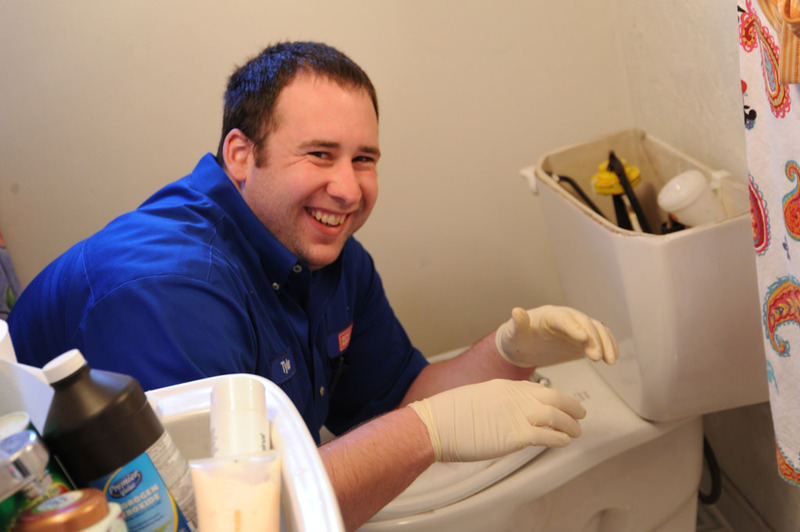 Our goal is to nip your plumbing problems in the bud, and calling us will do just that. Effective plumbing systems are imperative for any business, whether you're working a startup, running a restaurant, or selling kids clothing. Plumbing problems can create challenges or roadblocks to operating the day-to-day tasks of your business. As a local business owner, you want to make sure both your staff and customers are safe. Our plumbing professionals provide quick and friendly assistance to resolve plumbing and sanitation issues for commercial property owners so they can focus on what truly matters. Commercial plumbing is one of our greatest lines of business! ​Plumbing for your home is one of the many systems that help to make life easy, functional, and sanitary for your family. When there is conflict with the plumbing of your residence, such as faucet or toilet leaks, it can negatively impact your daily routines and activities. A high water bill can easily be avoided with an expert plumber! Everything from showering to washing dishes depends on having trusted access to fresh running water. Don't make life harder than it has to be. If you find yourself with a residential plumbing issue, let Vallejo Plumbing assist you in taking control of your home ownership. A clogged toilet not only threatens the sanitary condition of your entire property and the pipes underneath, but it also creates a burden on your comfort with such an unexpected inconvenience. Vallejo Plumbers deals with unclogging toilets on a daily basis, so we have the tools and expertise necessary to fix your problem--usually within 24 hours! A problem that needs to be resolved quickly and effectively has no time to wait any longer than that. Our plumbing experts will restore proper function to your toilet as quick as possible so you can get back to doing the things you love, like spending quality family time. Clogged drains occur quite frequently for many homeowners and businesses. Fortunately, it is a challenge that can be overcome efficiently and affordably by your friends at Vallejo Plumbing. Don't hesitate to give us a ring if you have a clogged drain or any other concerns. We will be at your doorstep quick and in a hurry ready to serve you to the best of our ability. While the technology of garbage disposals are great, all technology fails at some point. Overuse or improper use can result in clogging, but Vallejo Plumbing is here when you need us. As expert plumbers, we recommend that you resist throwing stringy, sticky, and whole foods down the drain of your kitchen sink. This will greatly preserve the life of your garbage disposal and should result in having to call a plumber less often. After all, who doesn't love to save money? Build ups can occur over time leading to congestion and stoppage, which prevent proper drainage and sewer function. Our sewer and drain cleaning solutions help pave the way for proper water flow throughout your home or business property. We advise that you first attempt to use an unclogging solution like Drano before calling on a plumber to inspect the problem in efforts to reduce cost. If you've tried that already, please don't hesitate to reach out to your local Vallejo Plumbers. Whether you are taking a refreshing shower or washing your hands at the bathroom sink, it's quite evident when your water temperature just isn't right. It is important to have reliable, easy access to a decent supply of hot and warm water for the daily needs of your home or business. Vallejo Plumbing provides water heater repairs and replacements to ensure that your water supply is functioning how it should be. A water line leak can cause harmful water damage to your residential or commercial property, increase your water bills, and waste gallons of water, which isn't so great for the environment. Vallejo Plumbing assists home and business owners in locating the source of any leaks, while providing the next best steps to avoiding property damage. Bathroom and kitchen remodels have always been desirable upgrades for many property owners. After all, who wouldn't want a custom bathroom or redesigned kitchen to wow your family members and/or guests? These kinds of remodels are fabulous places to invest money into your home for a better quality of life and increased resale value. Our professional plumbing contractors can aid in plumbing configurations and fixture installations to help you achieve the aesthetic of your dreams. As life goes, emergencies can arise at the worst time. This can leave you with a worrisome predicament on your hands, and very limited time to make a decision. When it comes to plumbing emergencies, however, Vallejo Plumbing has your back. We offer 24/7 services so that you always have someone on standby to save the day...or night! In case of emergency, call us as soon as you can and we'll be glad to relieve your stress in professional and timely manner. ​Plumbing reached its young pinnacle in ancient Rome, which witnessed the beginning of comprehensive systems of aqueducts, tile wastewater removal, and expansive utilization of lead pipes. Both water supply and sanitation collapsed during the Fall of Rome for more than ten decades. Hygiene improved slower than molasses. The rise of densely populated cities in the 1800s is what caused sanitation standards to progress. During this era, public health authorities began rallying for proper waste disposal systems in effort to prevent plagues, epidemics, and widespread disease. Prior to knowing any better, the waste disposal system had solely consisted of collecting garbage and dumping into the earth and large bodies of water. As humans became more environmentally conscious, the creation of separate, underground water and sewage systems got rid of open sewage ditches and cesspools. Most big cities today convey solid wastes to sewage treatment plants in effort to divorce and partially purify the water before dumping garbage into our planet. For potable water use, galvanized iron piping was standard in America from until the mid 1900s. Transitioning from this era, copper piping appeared to dominate the norms; primarily with soft copper and secondarily with rigid copper tubing. The practice of using lead for potable water vanished after World War II due to lead poisoning and a greater consciousness for the harmful effects of lead. At this point, copper piping was became the industry standard as a favorable and safer option among all types of piping to rid waste. Fast forward to today, Vallejo Plumbers use only the finest tools, methods, and practices to rid you of your plumbing problems. Although we may not be a household name like Roto-Rooter and Rescue Rooter, we give our clients undivided attention, proper education, and free estimates to give you the transparency you deserve. We take pride in being a local plumbing business in Vallejo. We won't charge you a penny until you're 100% comfortable with us doing the job. And best of all, we work around your schedule. We know how valuable your time is; you have busy lives and we treat you that way! If you have any questions relating to the cleanliness of your water supply, functionality of your sink or toilet, or anything in between, please don't hesitate to reach out. Click To Call For A Free Plumbing Quote! 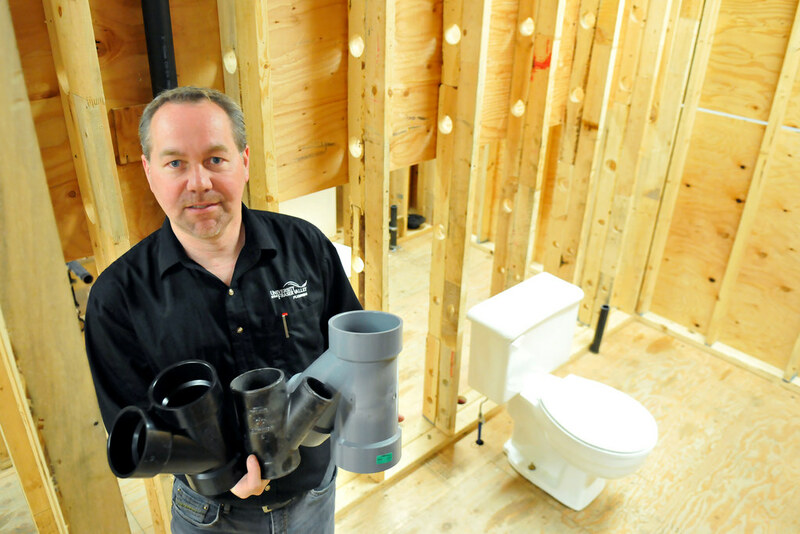 A lot of our customers have been asking us how to properly plunge their toilet. Well here's our answer to you! Check out these toilet plunging techniques on this cool video about plumbing tips!